Coinbase has been on a tear for the past 12 months. Even amid a grueling downturn in Bitcoin markets, the firm, valued at a hefty $8 billion, has continued to forge ahead, keeping its nose to the proverbial grindstone. But, at last, the prominent startup has stumbled, albeit rather uncharacteristically. Save for a 10 to 15 customer service employee purge in late-2018, caused a result of logistical concerns rather than financial mismanagement, Coinbase has largely been safe from the recent crypto layoff spree, which saw ShapeShift, Bitmain, Huobi, and countless others drop staffers en-masse — until now anyway. Per a recent report from The Block, published on Tuesday, the Silicon Valley fintech darling recently shuttered plans to launch a new trade matching engine. As a result, Coinbase has laid off 30 employees, a move which is purportedly shocking as the firm was dead set on launching this new offering, which would have given institutional investors more flexibility and accessibility. This layoff will also see the firm’s institutional-centric Chicago office close, which is notable, especially considering that this city is deemed somewhat of a second home for big names in finance, namely JP Morgan and Northern Trust. 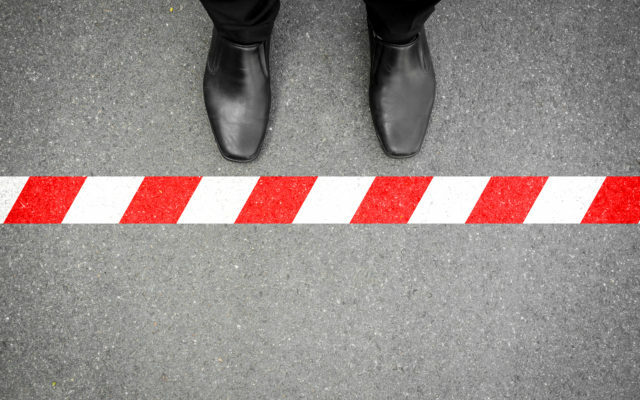 Funnily enough, just weeks ago, Paul Bauerschmidt of Coinbase’s Chicago office remarked that his division planned to “release something later this year,” making this layoff an utter U-turn. So if the company intends to continue to build out its institutional arm, what’s with the sudden closure of this key facet? Well as some suggest, it may have much to do with the firm’s financial status. True, the company did secure $300 million in late-2018 in a round that valued it at $8 billion, but profits still seem to be on the low side of things. As analyst Larry Cermak points out, Coinbase’s revenue was $520 million in 2018, which sounds impressive until you consider the fact that figure is down 44% year-over-year. Moreover, the firm projected to score $1.3 billion in revenue, meaning that the actual sum is over 60% less than its target. Projections for fiscal 2019 weren’t made public, but the firm is looking to desperately boost its revenue. Earlier this month, for instance, the firm launched a crypto-powered, Visa-backed debit card in the U.K. This new system will allow customers to purchase goods in-store and online and withdraw cash from ATMs with Bitcoin, Ethereum, Litecoin, among the other popular digital assets supported by Coinbase in the region. While it isn’t clear how much interest Coinbase has seen for Coinbase Card just yet, but the debit card industry is rumored to have very high margins, for both the service provider and the issuer. In related news, Coinbase has continued to add an array of digital assets to its roster of products. Over the past few months, the firm has added Stellar Lumens (XLM), Ripple’s XRP, Augur (REP), EOS, and Maker (MKR), giving the exchange a slight yet noticeable uptick in volume. And, the company recently opened its doors to in-house Tezos staking through its custody branch, which gives institutions more incentive to store their XTZ on the platform. Binance coin price corrected sharply after trading to a new 2019 high near $25.80. BNB corrected lower towards a crucial support area near $21.40 and it is likely to bounce back. Binance coin corrected below the $23.50 support and tested the key $21.40 support area. There is a major bullish trend line forming with support at $21.50 on the 2-hours chart. BNB price is likely climb higher as long as it is above $21.40 and $20.00. This past week, we saw a strong rise in binance coin price above the $20.00, $22.00 and $24.00 resistance levels. BNB price even broke the $25.00 level and traded to a new 2019 high near the $25.80 level before starting a downside correction. Looking at the 2-hours chart of BNB/USD, the pair traded as high as $25.83 and recently corrected below the $23.50 support level. The price declined below the 50% Fib retracement level of the last wave from the $18.66 low to $25.83 high. There was even a close below the $23.00 level and the 25 simple moving average (2-hours). However, the price found a strong buying interest near the $21.40-21.50 support area. Besides, the 61.8% Fib retracement level of the last wave from the $18.66 low to $25.83 high also prevented additional losses. More importantly, there is a major bullish trend line in place with current support at $21.50 on the same chart. Therefore, binance coin price could bounce back in the short term towards the $23.00 resistance. The next resistance is near the $23.50 level and the 25 simple moving average (2-hours). Having said that, a close above the $24.00 level and connecting bearish (with current resistance at $24.15) is must for a fresh rally above $25.00. If there are additional losses similar to Ethereum, ripple, litecoin, bitcoin cash and cardano, BNB could test the next major support near the $20.00-20.20 area (the previous resistance zone). Overall, the price is likely to bounce back as long as it is trading above the $21.40 and $20.20 supports. Bitcoin cash price declined sharply today below the $300.00 support level. However, BCH is now approaching crucial supports and it could bounce back in the near term. Bitcoin cash price declined sharply from the $312.11 swing high and broke $300.00. BCH broke a connecting bullish trend line with support at $294.00 on the 2-hours chart. The price is likely to find a strong buying interest near the $272.00 and $260.00 supports. Today, bitcoin price started a corrective decrease below the $5,500 support level. It increased bearish pressure on altcoins, resulting in a significant decline in bitcoin cash price below the $304.00, $300.00 and $296.00 support levels. Looking at the 2-hour chart of BCH/USD, the pair traded as high as $312.11 and recently declined sharply below the $300.00 support plus the 25 simple moving average (2-hours). 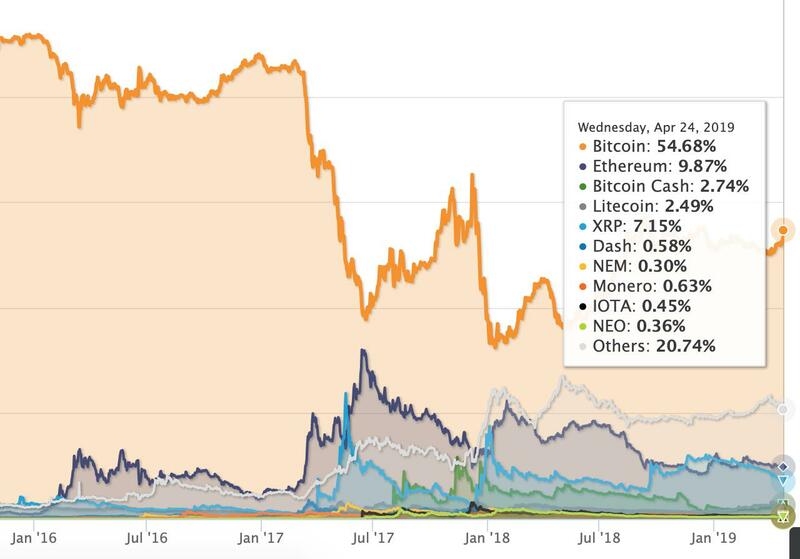 Other altcoins also fell significantly between 5-12%, including Ethereum, ripple, litecoin, cardano, EOS, stellar, ICX, BNB and TRX. BCH declined more than 5% and broke the $296.00 and $288.00 support levels. There was also a break below a connecting bullish trend line with support at $294.00 on the same chart. The price even broke the last swing low near $279.86 and tested the next key support at $272.00. It represents the 1.236 Fib extension level of the last wave from the $279.86 low to $312.11 high. There was a decent buying interest near the $272.00 level and the price is currently consolidating losses. On the upside, an initial resistance is near the $285.00 and $287.00 levels. To move back in a positive zone, the price must clear the $300.00 resistance, two bearish trend lines on the same chart, and the 25 simple moving average (2-hours). If the bulls struggle to push the price above the 25 simple moving average (2-hours) or the $287.00 resistance, there could be an extended drop in bitcoin cash. The next major support is near $260.00 and the 1.618 Fib extension level of the last wave from the $279.86 low to $312.11 high. As long as BCH is above $260.00 and $272.00, it is likely to bounce back in the near term. Yesterday, the evaluation of the cryptocurrency market cap has increased to its key resistance level from the current range as it came up to around $185B at its highest point and even peaked to around $185,443,000,000. The resistance there was clearly stronger than the upward momentum which is why the interaction ended as a rejection which prolled the evaluation in a downward trajectory and is currently sitting at $177,084,543,495. On the global chart, we can see that the evaluation is still inside the territory of the corrective structure and is now likely headed toward some of its support levels as it is in a lookout for support. Some temporary support has been found at the current levels but further downside movement could be expected from here potentially to around $170B area where the lower horizontal support of the current range is. The biggest losers are in double digits and are mostly concentrated around 12%, while the biggest one is Wax with a decreased of 18.21%. Oddly the only one in the green today is REPO with an increase of 29.98% and is the biggest mover among the top 100 coins. Bitcoin’s market dominance has further increased and came up from 52.8% at its lowest point yesterday to 54.73% at its highest today. This is due to the fact that the price of Bitcoin decreased the lowest in the last 24 hours as it came down by only around 2%. On the Bitcoin’s market dominance evaluation chart we can see that it too is starting to reach its key horizontal resistance level from the horizontal range in which it is stuck from August last year. There is still more room to the upside before the upper levels of the range are to be met but we could again be seeing the start of a breakout to the upside to my long projected level at around 68%. 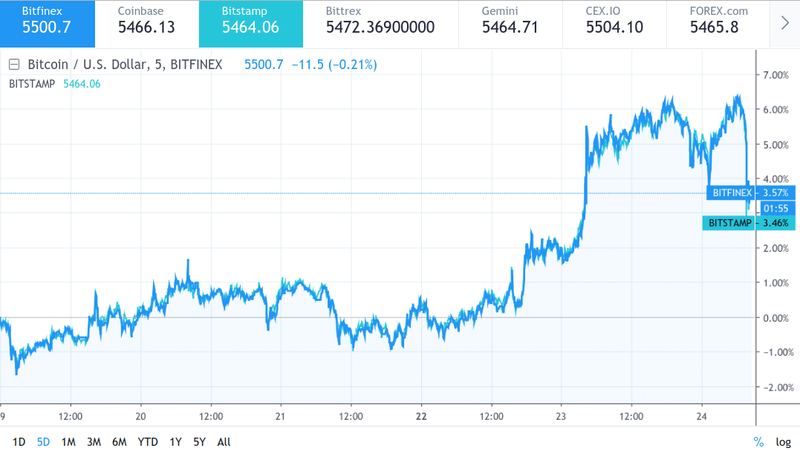 From yesterday’s high at $5646 the price of Bitcoin came down by 3.68% to its lowest point today at $5438.3 and even spiked further down in short period leaving a wick on the hourly chart. The price is currently being traded at $5494.1. On the hourly chart, we can see that the price found some temporary support around the vicinity of the second wave out of the previous correction but is likely headed further down if we are seeing the development of the 5th Minute wave to the upside which I believe it’s likely. The price of Bitcoin has most likely ended its correction as a five-wave WXYXZ which was the 4th wave of the higher degree impulse wave to the upside. The price of Bitcoin yesterday came up to the significant resistance level of the ascending channel made by the corrective structure and the upper resistance level of the ascending channel from the still unconfirmed structure seen on a higher time frame. As the price got rejected by the resistance found the level might get confirmed but further price action development is needed before a strong confirmation can be made in particular meaning that the next movement to the upside which would be the 5th wave out of the Minuette count shouldn’t exceed it as well. Bullish momentum has been stopped out and the price is still inside the territory of the ascending range which could mean that we are still seeing the development of the same correctional structure labeled as the 4th impulse wave of the Minute count. But as the price made a higher high and another one is expected we are soon to reassure the validity of the assumption. If we are seeing the development of the 5th impulse wave then the price cannot fall below the purple interrupted line at $5360 which is presumed to be the ending point of the 1st wave end the beginning point of the 2nd wave’s territory which the price according to the EW territory cannot enter on the 4th wave. The 5th wave could develop higher than projected potentially reaching the significant horizontal resistance at $5806. Zooming out on to the 4-hour chart you can see that if the price continues for another higher high and we do see the five-wave impulse develop as the 5th wave of the Minute count, it would be the 3rd wave of the higher degree Minor count which means that a 4th wave correction is to start developing after. This five-wave move that dates from 8th of February is the Y wave from the WXY correction to the upside according to my count so after it ends a trend continuation to the downside would be expected with new lows ahead, but if the price continues moving above the horizontal significant level at around $6250 the count would start to get invalidated. Before that, we are most likely to see some downside movement either as the now presumed 4th wave or some kind of a downtrend altogether the end of the currently seen increase was the end of the upswing from 8th of February. The market reached its key horizontal resistance level at around $185B level and as the resistance was stronger then the upward momentum, the interaction ended as a rejection causing another slump. This decrease may be reactionary in which case another increase would occur as the buyers haven’t been overruled, or it could be that the sellers have started to take control of the market in which case further downside is to occur. Bitcoin’s market dominance is over 54% is showing that some temporary support is found and that another increase is to be expected but that will prove to be a wrong assumption if the price falls below $5360 level. In either way since the price of Bitcoin is also inside its corrective range and has gotten rejected by its resistance, another expected increase to $5806 might be the last before we see a correction of a higher degree. Binance Coin (BNB), the best performing cryptocurrency in 2019, is having hard times maintaining its recent gains despite major developments. Meanwhile, the Bitcoin dominance index has hit its highest so far in 2019. As Bitcoinist reported last week, Binance Coin (BNB) 00 is amongst the best performing cryptocurrencies in 2019 so far. Year-to-date, the altcoin has gained around 260 percent. Moreover, a few days ago, BNB became the first to surpass its all-time high value of January 2018. On a shorter term, however, the cryptocurrency doesn’t seem to be able to maintain its gains. Since its price surged towards its newly-found ATH on April 20th, BNB has pulled back, experiencing a notable decrease of around 11 percent against the USD. Against Bitcoin, BNB is down even more with a 16 percent decline. Controversially, the sudden pull-back comes at times when there’s a lot going on for Binance and BNB. Earlier in this month, Binance launched the mainnet for their decentralized exchange Binance Chain. Touted as a “new chapter” in the history of the company, the event also set the stage for an important development for the currently existing ERC20-based BNB coins – their swap to Binance Chain. Moreover, Bitcoinist reported that every project which migrates to Binance Chain sees its token’s price skyrocket on the news. Since our last report, two more projects have migrated to Binance Chain, namely Gifto (GTO), and the Blockmason Credit Protocol (BCPT). Their prices, unsurprisingly, marked notable increases following the move. 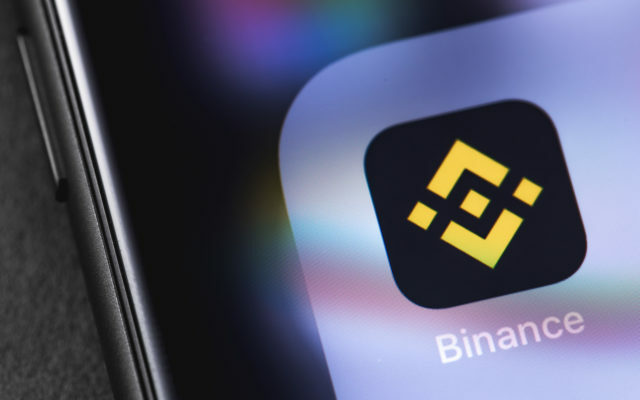 On another note, Binance Launchpad – the Initial Exchange Offering (IEO) structure of the cryptocurrency exchange, is having its fourth sale today with a brand new lottery system in place. According to the official website, the ticket claim process is already in progress. Another thing to consider is Bitcoin’s price performance throughout the same period BNB has been declining. Since April 22nd, BTC has marked yet another notable leg up, jumping from around $5,300 to $5,630 – an increase of about 6.3 percent. Bitcoin price 00 has experienced a slight pullback since its recent peak, losing about 1.5 percent on the day. However, looking at the overall cryptocurrency market reveals that BTC is actually holding relatively strong compared to other altcoins, most of which are bleeding notably. In result, the Bitcoin Dominance Index, which measures Bitcoin’s relative market share by capitalization, has risen to 54.7 percent, the highest in 2019 so far. What do you think of the recent drop in the price of Binance Coin? Don’t hesitate to let us know in the comments below! The post Binance Coin (BNB) Falters Pushing Bitcoin Dominance Index to 2019 High appeared first on Bitcoinist.com. Bitcoin price hit a new ATH this year reaching $5,600. The next stop looks to be $6,000. HODLers are daring to dream… But, let’s keep a little perspective. All major coins are still a (very) long way off their all-time-highs. That could be significant in itself, though. After all, the bounce-back can only be higher. Do you want the good news or the bad news first? Let’s start with the bad. Despite breaking through a key resistance level and forming its first golden cross since the 2015 bottom, Bitcoin (BTC) is still down a massive 72 percent from its all-time high in December 2017. Ether (ETH) is off by a whopping 88 percent, and Ripple even worse at 90 percent. Let’s not get started on Bitcoin Cash… They forked themselves pretty hard back in November last year and currently down 92 percent from historic highs. So what’s the good news then? Why are traders and HODLers across the globe getting so excited? Well, market analyst The Rhythm Trader rightly observes… with stats like this, we can only go up from here. Apart from the muted encouragement that things can only get better, there are a ton of other reasons why it’s looking rosy for BTC. Unlike the last epic bull run, the price of bitcoin has been steadily building since 2017. There are now far better fundamentals in the shape of rising transactions, usage, and hash rates. More scams and sh**coins have been flushed out, there’s more fiat on-ramps, proven uses cases, and plenty more besides. This time around, Bitcoin is scaling, has garnered major institutional support, and already proven that $20,000 is a realistic target. Meanwhile, we all must keep in mind that more nearly 80 percent of the total 21 million bitcoin have already been mined. The halving, which will reduce sell-pressure on the market, is also now less than 400 days away. We’ve all heard John McAfee’s predictions–and what he’ll do if he’s wrong. But there are plenty of other key protagonists that are equally (if not more) bullish on Bitcoin. Just yesterday, Anthony Pompliano of Morgan Creek Digital made a staggering claim. That Bitcoin could become a $5 trillion asset by 2024. This is based on the rationale that Bitcoin remains the only sub-trillion-dollar asset capable of increasing by as much as 50 times in a five-year period. So, yes, the fact remains that Bitcoin still has a long way to go to recover its previous levels before blasting through them. But with the tailwinds strongly blowing, it can only go up from here. Will Bitcoin continue its uptrend? Share your thoughts in the comments below! 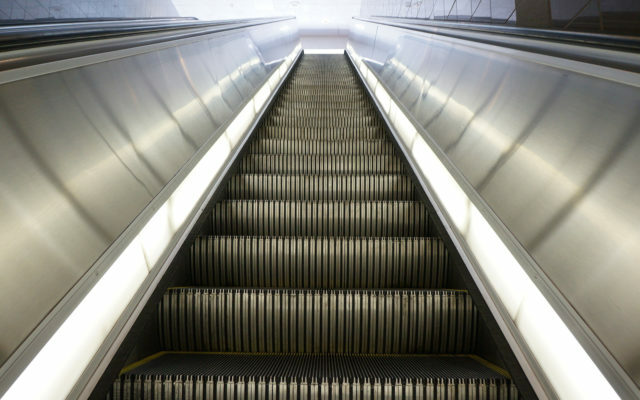 The post Why Bitcoin Can Only Go Up From Here appeared first on Bitcoinist.com. 51% attacks are a cryptocurrency’s worst nightmare. These attacks destroy confidence in a project and emphasize the need for carefully designed proof-of-work consensus. Below is a list of the five most prolific 51% attacks in crypto. A 51% attack can occur when an attacker gains control of more than 50% of a network’s hashrate (the total mining power used to validate transactions on the network). Once an attacker has 50% or more of the hashrate on a network, they can invalidate transactions and even double-spend coins—invalidating the immutability and trustworthiness of a blockchain. 51% attacks are more expensive and difficult to execute on blockchains backed by more mining power. Simply put, it’s more expensive to control half of a network with more hashrate. For instance, crypto51.com estimates that it would cost $380,000 to carry out a 51% attack on the Bitcoin network for an hour. Conversely, only $8,100 is needed to attack Bitcoin SV in the same time period. Currently, Bitcoin has a hashrate of 38,000 PH/s compared to BSV’s 860 PH/s. Mining centralization is also a factor as a mining pool with more than 50% of a blockchain’s hashrate can also carry out a 51% attack. For instance, concerns were raised when the BTC.TOP mining pool controlled as much as 50.2% of the Bitcoin Cash hashrate at a point in January 2019. Feathercoin (FTC), Vertcoin (VTC), Bitcoin Gold (BTG), Ethereum Classic (ETC), and Verge (XVG) have all suffered 51% attacks. All of the listed cryptocurrencies have relatively low hashrates relative to the total amount of available hashrate within their algorithm family, which made them susceptible to attack. The chart below compares the hashrates of Bitcoin, Bitcoin Cash, Vertcoin and Bitcoin Gold over the past year. Bitcoin’s higher hashrate makes it less prone to a 51% attack. Feathercoin is a Litecoin clone that shares its 2.5 minute block time and the scrypt mining algorithm. The altcoin is currently ranked 461st on the list of cryptocurrencies on coinmarketcap.com. Feathercoin barely receives any notice today but was a top cryptocurrency around the time it suffered a 51% attack. The Jun. 8th attack on the Feathercoin network started with a marked increase in the network’s hashrate. It was suspected that the additional mining power came from miners on scrypt-based pools. According to the founder of Feathercoin, the miners were looking to benefit from the increased profitability on mining Feathercoin due to a change in difficulty. A total of 80 blocks were orphaned in the initial attack. Orphaned blocks are valid blocks on a network that are later replaced because a longer chain with greater proof-of-work takes precedence. This means confirmed FTC transactions were reversed in the attack. Some miners also ended up wasting effort on mining blocks that were eventually replaced on the chain. The problem was compounded when the official Feathercoin website suffered a distributed denial of service (DDoS) attack around the same time. According to Tradeblock, exchanges had to increase Feathercoin confirmation requirements to ensure that only valid transactions on the right chain were processed. The advanced checkpointing (ACP) feature was also introduced by the Feathercoin team to prevent future 51% attacks. However, the attack still devastated confidence in FTC and it has since fallen into obscurity. In a May 11th blog post, the Bitcoin Gold team made Bitcoin Gold (BTG) holders aware of attempts to attack the Bitcoin Gold network. Exchanges were also asked to guard against the attack since potential attackers were likely to profit by double spending coins in exchange transactions. The blog post was updated on the 24th of May to announce that a dreaded 51% attack occurred on the network between the 16th and the 19th of May 2018. The attack on Bitcoin Gold also involved rented hashpower from cloud mining services. Bitcoin Gold—already one of the worst performing cryptocurrencies in 2018—faced even more problems after the attack. Bittrex delisted BTG following the BTG team’s refusal to pay compensation of 12,372 BTG. Exchanges including Bittrex, Binance, Bithumb, Bitinka, and Bitfinex lost an estimated $18 million worth of coins due to the double spend attack. Bittrex blamed the Bitcoin Gold team for negligence and demanded compensation in order to keep the cryptocurrency listed. In response, the Bitcoin Gold team stated that 51% attacks are a known risk in the ecosystem. They added that the BTG organization was not responsible for the attack since it was not caused by flaws in the Bitcoin Gold blockchain or code. Additionally, the team cited warnings it gave prior to the attack as well as the assistance it gave exchanges for defending themselves. The BTG team also claimed that the network upgrade carried out in July 2018 will reduce the likelihood of another attack on the network. Bittrex ended up delisting the coin, along with several others. Bitcoin Gold still survived as the 27th most capitalized coins on CoinMarketCap. The 51% attack on the Vertcoin network occurred between October and December 2018. Coinmonks estimated that a total of $100,000 worth of coins were double spent by an attacker in eight reorganizations of the Vertcoin blockchain. A chain reorganization or reorg occurs when a miner with more than 50% of hashrate comes up with an alternative transaction history by creating an extension of any chain and eventually replaces the network’s transaction history. In the attack, transactions in some orphaned blocks were double spent in the eventually accepted transaction history. A total of 71,000 VTC ($50,000) were double spent. In the ensuing panic, the price per VTC decreased from $0.7 to $0.3 per coin. Gert-Jaap Glasbergen, a Vertcoin developer, attributed the attack to the availability of cloud mining services and the release of specialized mining hardware for Vertcoin. 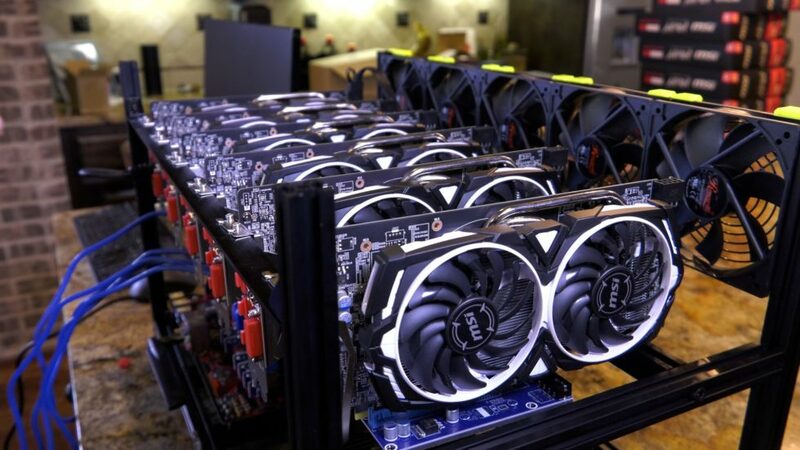 Cloud mining services like NiceHash made it easy for an attacker to rent mining power at lower costs (purchasing and installing mining hardware for the same purpose is more expensive). Vertcoin has since updated its mining algorithm to Lyra2REV3 in order to render specialized mining hardware ineffective for mining Vertcoin. There is also on-going development on Verthash, a new algorithm that will completely eliminate the use of specialized mining hardware on the Vertcoin network. The new Verthash algorithm is expected to tackle the problem of surges in hashrate due to rented GPUs. Vertcoin went from 138th in coin rankings in September of 2018 to 162nd today. Ethereum Classic is the original version of Ethereum that remained after the core team created a fork by reversing the infamous DAO Hack on the Ethereum network. Proponents of Ethereum Classic were in favor of maintaining an untampered transactions history. However, Ethereum Classic went on to become the less popular version. Cryptoslate extensively covered the $1.1 million dollar heist that occurred in the 51% attack on the Ethereum Classic blockchain. The incident was first reported by Coinbase in a Jan. 7th blog post. It was revealed that a total of 219,500 ETC worth $1.1 million were double spent in eleven reorganizations of the blockchain starting on Jan. 5th. Coinbase and Kraken promptly halted trading in Ethereum Classic as a result. The ETC price plummeted due to the attack but has since recovered. The chart below shows the ETC price from the day of the attack to date. Following the incident, the Ethereum Classic team blamed the attack on insufficient hashrate and the malicious “bad actor” miner identified as Private Pool 0x3ccc8f74. Once again the team decided to not reverse the attack. A list of steps to avoid future 51% attacks was also made public. This includes the creation of a monitoring and alert system to detect attacks faster. A proof-of-work (PoW) algorithm change to minimize NiceHash renting attacks was also proposed. 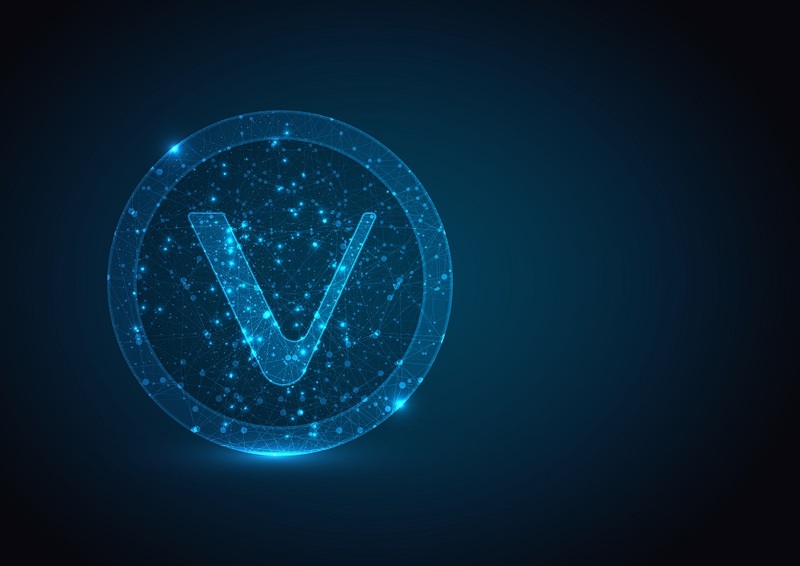 In an interview with CryptoSlate, Justin Sunerok, the founder of Verge described the cryptocurrency as “a privacy coin designed for everyday use.” The privacy coin uses five different mining algorithms. Miners of the cryptocurrency are obliged to use a different algorithm for each block to reduce the likelihood of a single entity controlling majority hashrate on the network. Interestingly, this multi-algorithm system was created as a fix for a previous attack suffered by the network in 2016. In April 2018, an attacker exploited a bug in the Verge code and made away with at least 20 million Verge (XVG) coins, worth approximately $170,000. As explained by Bitcointalk forum user ocminer, the bug allowed a malicious miner to submit mined blocks with false timestamps. The attacker then mined multiple blocks within one-second intervals exploiting one of the five mining algorithms. In an attempt to solve the problem, the Verge team executed a hard fork that created new problems with wallets. In spite of the fix, Verge suffered a similar attack a month later. In his CryptoSlate interview, Justin Sunerok mentioned that the series of attacks on the Verge network “did not affect confidence in the project.” He added that the Verge community was as vibrant as ever. Since April of 2018, Verge fell from 26th in the ranking to its current position at 50th. The post Five most prolific 51% attacks in crypto: Verge, Ethereum Classic, Bitcoin Gold, Feathercoin, Vertcoin appeared first on CryptoSlate. The post 45,000 ETH Stolen Just By Guessing Private Keys, Report Says appeared first on Invest In Blockchain. Bitcoin price suddenly fell $150 April 24 in an abrupt end to its latest bullish advance which has triggered a major altcoin sell-off. Data from cryptocurrency exchange Bitstamp, which traditionally offers a more conservative reading Bitcoin price, puts the largest cryptocurrency at $5470 as of press time Wednesday. The current levels come after BTC/USD 00 lost its upward momentum at $5620, dropping 1.5 percent in a matter of minutes before bouncing off support around $5410. That downward pressure marks Bitcoin’s first major retracement since April 11, when BTC/USD fell from the same support position – $5410 – to hit less than $5000 before slowly regaining lost ground. 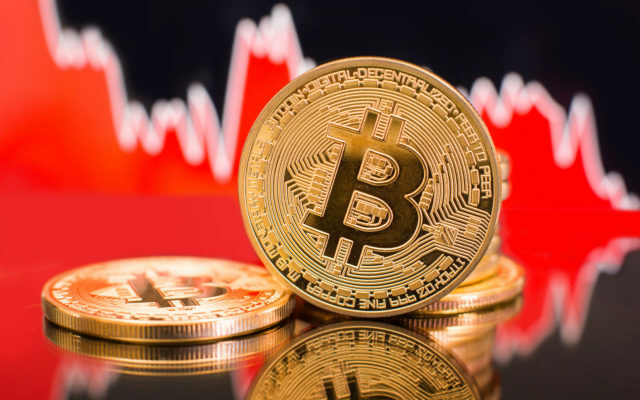 As Bitcoinist reported, this week saw markets deliver the highest Bitcoin price yet for 2019, while commentators have already begun abandoning the theory that overall conditions remain bearish. In a podcast last week, some of the best-known figures in the Bitcoin industry added weight to the concept, with analyst Willy Woo putting the chances of Bitcoin price hitting fresh lows this year at just 5 percent. Others were almost equally bullish, including Tuur Demeester, who attributed a likelihood of 20 percent, while Murad Mahmudov and David Puell offered 25 percent and 30 percent respectively. For altcoin investors, however, this week has painted a decidedly bleaker picture. The sudden change in direction for Bitcoin swiftly triggered a rout across major tokens, Binance Coin 00 leading the charge with 24-hour losses exceeding 10 percent. The in-house token for Binance had become a favorite in recent days, beating its USD all-time high earlier this week as its issuer began rolling out features of its decentralized exchange platform. As Bitcoinist noted, CEO Changpeng Zhao had even called on fans not to praise the token at the expense of others, notably Ethereum, which lost closer to 5 percent over the same period. Following BNB, many coins in the top twenty by market cap shed around 8 percent of their USD value, with only Monero managing to avoid the selling pressure. Ripple’s XRP token 00, the second-largest altcoin by market cap, similarly fared better than expected, amid news one of the company’s senior executives had begun selling his reserves. Currently playing out over Twitter, it emerged CTO David Schwartz is divesting himself of his worth in accordance with a pre-arranged investment strategy with his wife. “The majority of our liquid assets is still XRP that I purchased on exchanges by market making,” he explained Sunday. The curious doubtful tone caught the attention of crypto Twitter users, with one describing the sell-off as “most bearish sign” they had seen regarding the token for several years. Are you buying this ‘dip’ or are cryptocurrencies still in a bear market? Share your thoughts below! The post Bitcoin Price Sparks Altcoin Bloodbath As Ripple CTO Quietly Dumps XRP appeared first on Bitcoinist.com. The post Basic Attention Token Can Soon Get Into Top 20, Investors Bullish appeared first on Invest In Blockchain. The post McAfee Now Holds Off With Satoshi Identity Reveal, Says It Can Risk His Extradition appeared first on Invest In Blockchain. The post Guy Who Stole $7.5M In Crypto Spent It On Helicopter For Friends And Fancy Gucci Bags, Gets 10 Years In Prison appeared first on Invest In Blockchain. 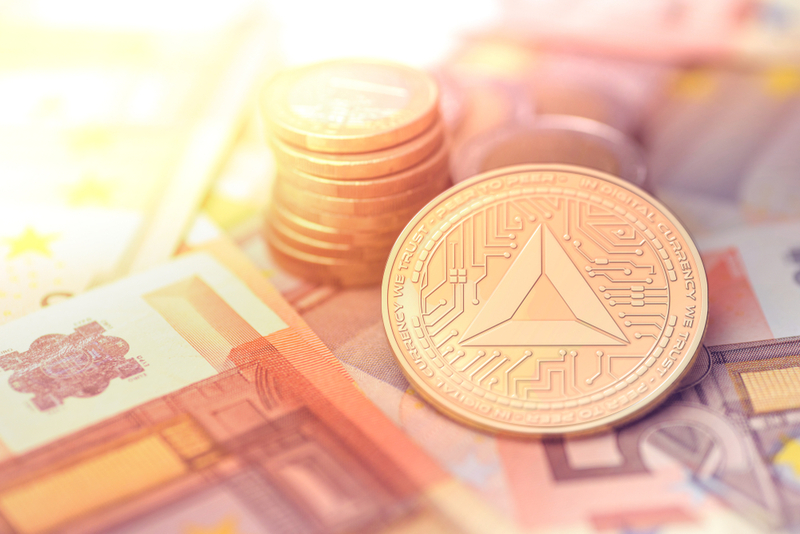 The post Leading French Bank Issues $112M Bond On Ethereum Blockchain appeared first on Invest In Blockchain. 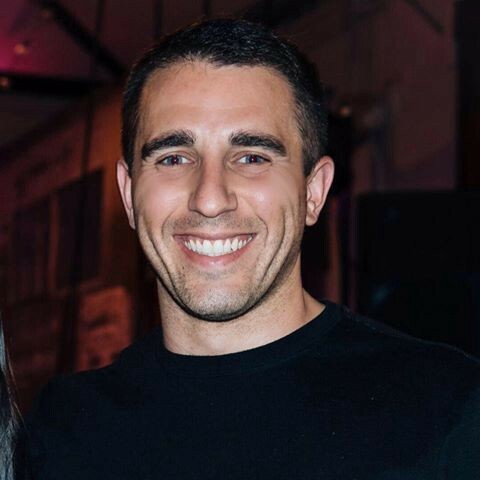 Anthony Pompliano of Morgan Creek Digital believes Bitcoin is in a unique position to experience parabolic growth within the next five years, taking its market capitalization to $5 trillion. In a tweet published on Monday (April 22, 2018), Pompliano identified Bitcoin as the only sub-trillion-dollar asset that looks capable of increasing by as much as 50 times within a five-year time frame. Such an increase would see the market capitalization for BTC topping $5 trillion and bring Bitcoin into the same value class as assets like gold. Bitcoin is the only $95 billion market cap asset I have ever seen that has a realistic chance of a 20-50x increase in value over a 5 year period. Sometimes the best trade is the simplest. Currently, Bitcoin’s market capitalization is a little under $100 billion. The current positive run is seeing the top-ranked crypto regaining some of the ground lost during the bear market of 2018. Bitcoin is currently enjoying a resurgence in 2019, up by more than 50 percent since the start of the year. The lion’s share of this growth has come in April with BTC price 00 gaining about 35 percent since April 1, 2019. Pompliano, founder of Morgan Creek Digital and a known Bitcoin permabull, isn’t alone in this belief. Earlier in April 2019, Chris Burniske of Placeholder – a venture capital firm, forecasted that BTC could top $1 trillion in market cap during the next bull run. Many analysts are increasing espousing the belief that BTC has bottomed out and is set for a new parabolic growth cycle. As reported by Bitcoinist on Tuesday (April 23, 2019), a golden cross pattern has formed on the BTC price chart further strengthening the notion of Bitcoin entering a bull market. According to Pompliano, the next BTC bull cycle will feature a more mature Bitcoin, one driven by technical and market fundamentals, instead of the hype-driven bull-run in late 2017. Bitcoin is a highly volatile asset. It is misunderstood by many. 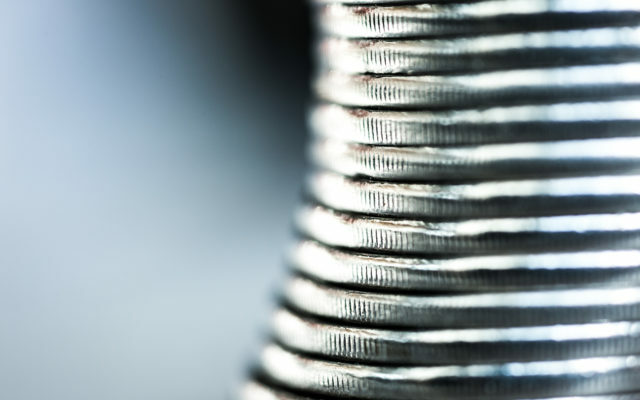 But one thing is certain, the digitally native currency continues to strengthen over time. As with anything important in life, the maturation and mass adoption of Bitcoin will take time. Over a two-year period, metrics like miner revenue, transaction volume, and the number of wallets have increased. Within that same period, Bitcoin has outstripped the returns of markets like the S&P 500 and gold. In the last two years, BTC has gained more than 450 percent while gains for the S&P 500 and gold stand at 19.9 percent and 1.3 percent, respectively. In 2019, it is also outperforming traditional markets and commodities including oil and gold. Meanwhile, within the period under review, BTC did experience an 80 percent slump but that’s not surprising considering that it’s unique compared to traditional stocks and commodities. Can Bitcoin’s market cap top $5 trillion by 2024? Let us know your thoughts in the comments below. The post Bitcoin Can Become a $5 Trillion Asset by 2024, Says Anthony Pompliano appeared first on Bitcoinist.com. Flaring, a common practice of burning off natural gas that can’t be efficiently captured and stored has reportedly reached record levels in the state of Texas. Let’s look at why Bitcoin mining would be the perfect solution to capture this energy ‘waste’ and transform it into sound money. According to a recent Bloomberg report, America’s Permian Basin, a large sedimentary basin located in the southwestern part of the country, is producing so much natural gas that at some point producers had to burn some of it off. This process is referred to as “flaring” and it’s carried out when it makes more sense to burn the gas than to efficiently capture and store it. As oil production in the region surge, so does flaring. The report also outlines that at the end of 2018, producers were burning off more than enough fuel to meet the entire residential demand of the whole state of Texas. Compared to last year, the amount of gas flared in the Permian has increased by about 85 percent. It’s a black eye for the Permian Basin. […] The state, the pipeline companies and the producers — we all need to come together to figure out a way to stop the flaring. The main challenge in front of the industry is that there are not enough pipelines to get the gas to the consumers. This is also why, at some point, producers were actually paying their customers to take the gas. Besides pure financial issues, however, flaring is also undoubtedly causing a lot of environmental damage. 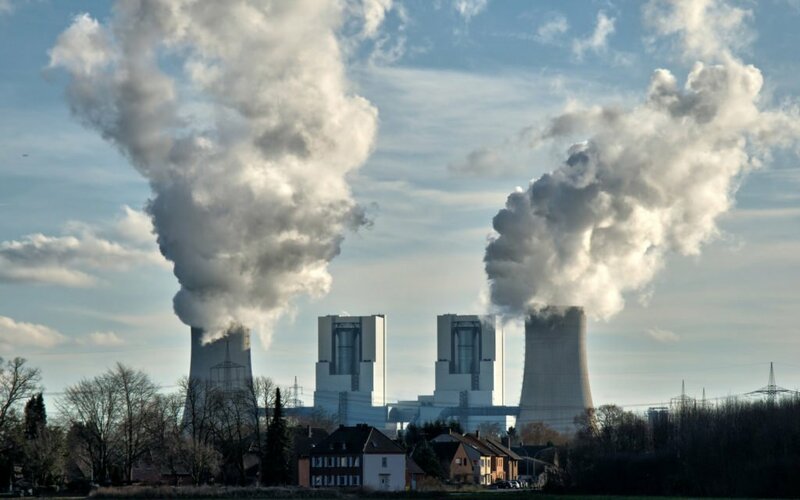 The process is also producing serious amounts of carbon dioxide, which has reportedly contributed more than any other driver to climate change between 1750 and 2011. As Bitcoinist reported earlier in March, the solution that the state of Texas is desperately looking for might already be here: mining bitcoin. A project, headed by oilman and bitcoin entrepreneur Stephen Barbour, has embarked on tackling the issues of excessive oil and gas production and the consequential flaring. Barbour has installed a generator to a shipping container full of mining rigs and placed it at a remote oil field in Canada. Its sole purpose is to convert natural gas into electricity and to power the rigs. In order for the machines to operate 24/7, the unit is using about 400 cubic meters of natural gas per day. Of course, the investment needed to buy and convert a regular shipping container into a facility of the kind can round up at $130,000 before factoring in the price of mining rigs. However, apart from tackling the excessive waste of natural gas (which will save money), it would also result in highly profitable mining of bitcoin since the energy would not only be free, but producers may even pay miners to utilize it. What’s more, the mined bitcoin can then be used toward environmental conservation efforts, improve local infrastructure, or just about anything else. Given that there are no other foreseeable solutions apart from the constant structuring of additional pipelines, this does sound like the perfect idea for Texas and bitcoin mining investors to look into. Can Bitcoin mining help Texas capitalize on its ‘energy waste’? Let us know in the comments below! 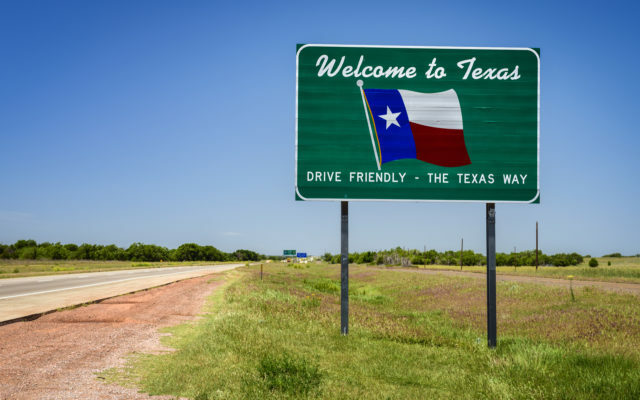 The post Why Moving to Texas Could Give Bitcoin Miners Maximum Profit appeared first on Bitcoinist.com. 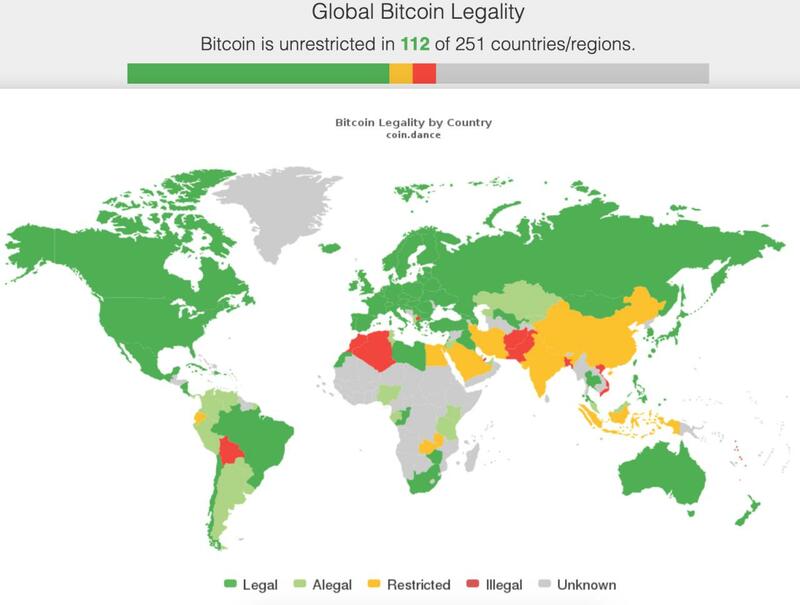 Most countries around the world are scrambling to regulate Bitcoin. Some, like Bolivia, Egypt, and Saudi Arabia, have even tried to outright ban it. The problem is, no matter what regulators say, there are four major reasons why Bitcoin is unbannable. You can take your country out of bitcoin, but you can’t take bitcoin out of your country. Why? Because it is actually impossible to write laws against a protocol vastly superior to the human subjective legal system. Governments may “ban bitcoin,” but their people will continue to use it. Azte.co founder Akin Fernandez points out in this article that regulators are too quick to enforce laws on a software protocol that needs no regulation. Bitcoin is no different from WhatsApp, after all, in that they are both software platforms transmitting data. WhatsApp now has over a billion users and no law was written around it. Moreover, Bitcoin, unlike fiat, can be transferred in a binding promise that is unbreakable. The software already enforces the law and obedience to the contract. Moreover, Fernandez argues that to try to regulate Bitcoin in the United States would go against the First Amendment of the Constitution. They would need to rewrite it completely before enforcing laws on Bitcoin. The sad fact remains that most countries are aiming to regulate something that they don’t understand. You can’t write fair and practical laws against bits and bytes, end of story. The internet can be censored, partially. Sites can be banned, and governments in dictatorial countries can even block access to the internet for all. That’s because the internet still relies on centralized servers that ISP providers and governments can control. Bitcoin is unbannable because it relies on node decentralization. Its distributed software has grown large enough globally that it is impossible to shut down. Even if every country in the world came together to ban bitcoin (which would revoke the First Amendment in the U.S. and cause an uproar across the free world) they would find that Bitcoin is unbannable. And in the extreme and unlikely case that all its core developers were killed tomorrow and access were hijacked by the IMF, the software is already in the wild, which means users simply won’t download the new hijacked version. They will continue running the software that’s already working as everyone can see and audit the code. That Bitcoin relies heavily on the internet is still a strong argument–today. However, through mesh networking, node decentralization, and opensource distributed software, that reliance is not total. There are plenty of mechanisms working on this in place. For example, you can run a bitcoin node using Tor, as Satoshi recommended. In fact, as irony would have it, they are even running in China, where government approval is technically required. In December last year, Blockstream launched its fifth satellite streaming the Bitcoin blockchain from space. 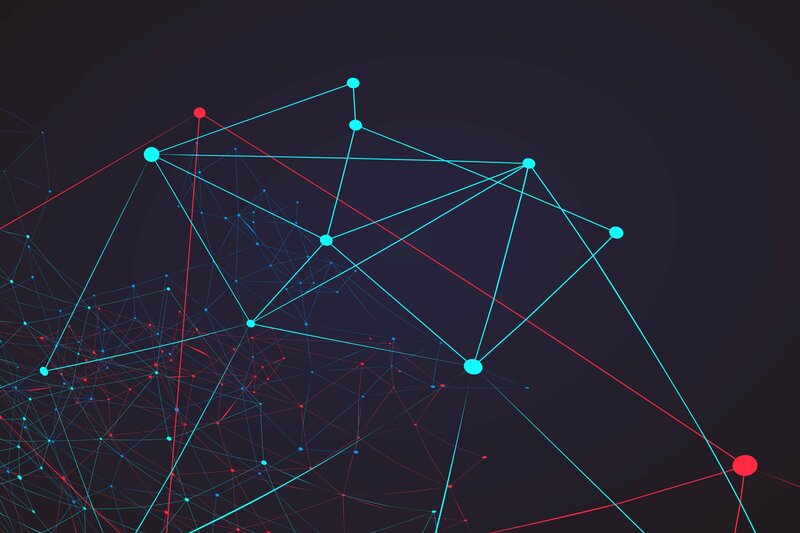 This venture solves to make the Bitcoin network more robust and less dependent on the internet. We see the increased robustness of the bitcoin network and the lower cost of participation contributing to helping businesses rely on the service for backup, and for emerging markets to use as their primary access to the bitcoin network at a lower cost. 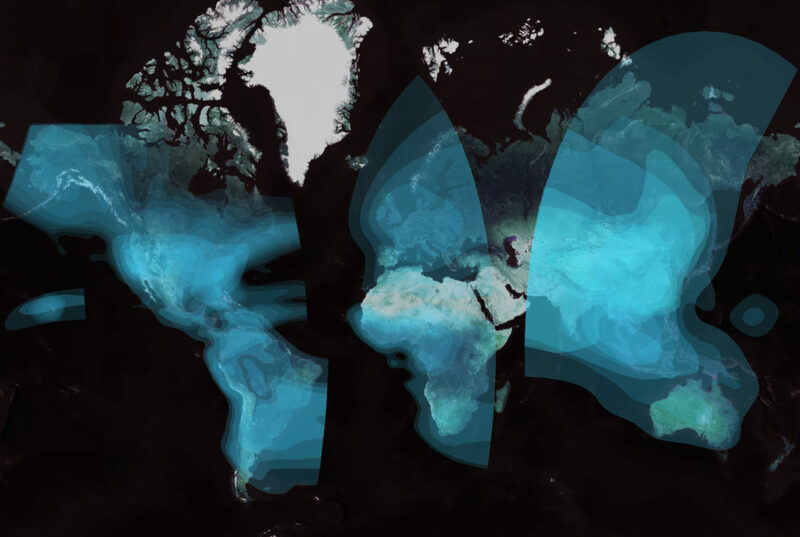 Blockstream satellites now offer coverage over the entire globe, with Greenland and Antarctica as the only exceptions. This gives people trapped in oppressive political regimes another lifeline when countries try to ban bitcoin or block the internet. If satellites and mesh networking weren’t enough, you can also send Bitcoin via good old SMS, which is not reliant on the internet or smartphones. Bitcoin SMS payments are particularly appealing in countries like Venezuela where almost the entire population owns a mobile device of some kind, but not a smartphone. If your rigid laws regulating something you don’t understand and shutting down the internet don’t work, you could always close down the power grid. But then again, you would be propeling your country back to the middle ages, angering your citizens, turning business against you, and generally creating a dystopia. Moreover, electrical engineering is a public domain and not in the control of governments to shut down. Sorry folks, try as you may, Bitcoin is becoming increasingly unbannable. What other avenues should bitcoin exploit to become more resiliant to attacks? Share your thoughts below! 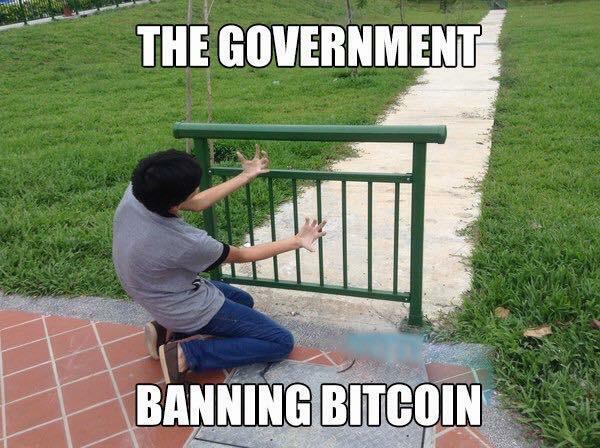 The post 5 Big Reasons Why Bitcoin Can Never Be Banned appeared first on Bitcoinist.com. An equity battle involving a South Korean gaming giant could end up with Walt Disney Co. owning two major cryptocurrency exchanges. Happy Ending For Disney And Crypto? As local news outlet JoongAng Ilbo reported quoted by Korea Herald April 17, Disney is currently one of the major bidders for a 98.6 percent stake in Nexon, South Korea’s largest game developer and the second-largest online games publisher in the world. Nexon is 47 percent owned by NXC, the chairman of which, Jung-ju Kim, is behind the shares sale. According to JoongAng Ilbo, various major entities had taken an interest in the stake. These include Tencent and Kakao, both of which are currently pursuing cryptocurrency-related projects of their own. Disney, however, is allegedly first in line, with Kim personally reaching out to the US corporation. Should the $13.2 billion deal go ahead, however, Disney will have access to European exchange Bitstamp via NXC’s investment structure NXMH, which purchased it for around $400 million in late 2018. Also under control would be South Korean mainstream platform Korbit, in which Nexon has a 65 percent stake. 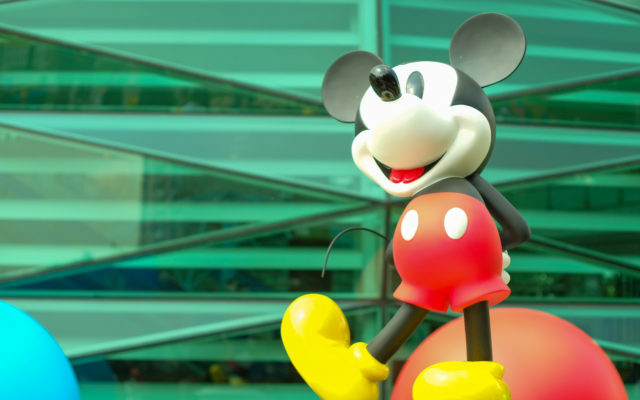 According to the Herald, the NXC mogul had held a soft spot for Disney for some time, spurring the belief that the deal would likely have a specific outcome. “What I envy the most about Disney is that they do not force money out of kids… (consumers) gladly pay Disney. Nexon has a long way to go. Some people hate Nexon to death,” it quotes him as saying in 2015. Disney itself has hardly any experience in the cryptocurrency industry, with the exception of a lackluster ICO project dubbed ‘DragonChain’ in 2017. While the new owner could thus jettison its newly-acquired crypto portfolio, the track record of both platforms could yet prove appealing as the cryptocurrency market undergoes its latest renaissance. 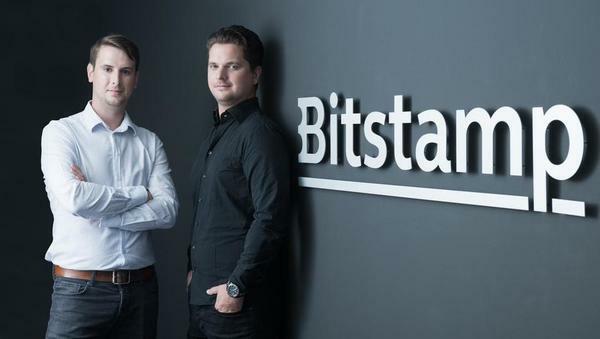 Last week, Bitstamp became one of the few businesses to complete the process of gaining a BitLicense certification to serve users in New York. “We look forward to carrying the lessons we’ve learned in Europe over the ocean and helping to develop a better environment for all crypto businesses, both in the US and worldwide,” the company wrote in an accompanying blog post. Korbit also continues to press on despite the 2018 bear market proving tough on its financial health. This month, figures showed net annual losses for the previous twelve months totalled around 45 billion won ($40 million), still less than market heavyweight Bithumb, which shed closer to $180 million. What do you think about Disney potentially gaining a stake in Bitstamp and Korbit? Let us know in the comments below! The post Disney Could Soon Own Oldest Bitcoin Exchange in $13 Billion Equity Deal appeared first on Bitcoinist.com. Chris Burniske—former crypto lead at ARK Invest and a partner at Placeholder, a crypto venture capital partnership based in New York with $150 million in capital under management—believes the market cap of bitcoin will surpass $1 trillion during the next bull market. At the height of the 2017 crypto rally, during which the bitcoin price hit $20,000, the market capitalization of the crypto market reached highs of $813 billion. If bitcoin’s capitalization crosses the $1 trillion mark it would mean BTC would trade for over $40,000. This would also be larger than the entire value of the crypto market at its 2017 peak. How Could Bitcoin Hit a $1 Trillion Market Cap? Like gold and other commodities that appeal to high net worth individuals and institutions, bitcoin would have to evolve into a recognized store of value with proper infrastructure to handle massive inflows of capital. In the near-term, a lot of work may be necessary to further strengthen the infrastructure supporting the asset class. “Bitcoin does not have a good market structure. Even for Bitcoin, different markets are posting lots of different prices. And you can pay an up to 6% spread to exchange dollars for Bitcoin, meaning Bitcoin needs to rise by as much 6% before you break even,” Sprecher said. The narrative of the entrance of institutional investors in the crypto market floated around since 2017 and many investors had remained uncertain whether institutional adoption would happen at a large scale in the crypto market. But, according to a survey conducted by TRADE Crypto in partnership with BitGo, 94 percent of 150 surveyed endowments in the US have already invested in the crypto market, which would translate to 141 institutional investors. Morgan Creek Digital, the first pension fund in the US to invest in crypto, asserted 66 percent of investment into Grayscale’s cryptocurrency products came from institutions. Burniske also noted that unlike 2017, alternative cryptocurrencies like Ethereum, Litecoin, and Binance Coin have actually begun to acquire large valuations and are no longer dwarfed by bitcoin. Another interesting trend is #2-10 are gaining ground on $BTC over time. It used to look like #Bitcoin and 9 dwarves, but those dwarves have gone through growth spurts on a relative basis (especially in 2017). The interest in alternative cryptocurrencies and even tokens by institutions, as seen in the investment in Blockstack by affiliates of the Harvard Endowment, has also noticeably increased in recent months. The post Analyst: Bitcoin (BTC) Likely to Drop Towards 4,600 Before Surging to 6,800 appeared first on NewsBTC. “As a service strongly disagree with Craig Stephen Wright's policies and business decisions - everything, really. Since its birth, Bitcoin (BTC) has been lauded as an alternative to traditional assets day in and day out. Most notably, the cryptocurrency is. in the eyes of some pundits, a replacement to gold, specifically the metal’s store of value capabilities. But if Bitcoin takes over gold’s hegemony, what would happen to the value of BTC? According to HodlWhale, a Seattle-based cryptocurrency investor, a world where Bitcoin has absorbed all the value of the gold in circulation would see BTC valued at $350,000. This figure isn’t exactly baseless. As reported by NewsBTC on an earlier date, all gold in circulation is currently valued at approximately $7.83 trillion, while all BTC has a mere $94 billion valuation. If the latter was to fully displace the value of the first, Crypto Voices, an industry analytics and research group, estimated that BTC would swell to a value of $450,000 — slightly above HodlWhale’s estimate. And while this sounds absurd, especially considering that cryptocurrencies remain in the depths of a brutal bear market, some are sure that Bitcoin will become the “digital gold” that its investors want it to be. Mere days ago, Adamant Capital, a Bitcoin-centric fund led by long-time investor Tuur Demeester, released a report on the crypto market’s current status. Following an explanation that “whales” are accumulating cryptocurrencies en-masse, the market is expressing “hope,” and that a further drawdown could be possible if conditions are right, Adamant’s partners explained that they expect for Bitcoin to disrupt traditional assets, like stores of value and reserve assets. The firm specifically looks to the growth of Bitcoin scaling, like the Lightning Network’s staggering growth and the rise of sidechains; the institutionalization/financialization of this industry through Bakkt, Nasdaq’s futures, etc., and the rise of the millennial demographic to claim that BTC could become a “globally used digital gold and reserve asset.” But why exactly should BTC usurp gold? Well, it’s simple, to be frank. The post Bitcoin Displacing Gold Entirely Would Value BTC At $350,000: Is It Possible? appeared first on NewsBTC. As the Saturday afternoon almost draws to a close, there are still plenty of crypto market changes to take advantage of. The Monacoin price is going on an absolute rampage as of right now, although few people will be able to pinpoint the exact reason for this unexpected uptrend. It is always interesting to take note of the different cryptocurrencies and their price trends throughout the weekend. Although MonaCoin has never made too much of an impact in the Western world, it is a very popular currency in Japan. This altcoin has noted some of the biggest gains in all of cryptocurrency throughout the month of April, yet no one really knows why. Over the past 24 hours, the MonaCoin price has risen by 40.3% to move back to $0.897155. There is also a strong 39% push in MONA/BTC, as this ratio has shifted back to 16.815 Satoshi. Traders looking to increase their BTC holdings will be more than happy with the way this altcoin performed today, although these gains might not remain in place for too long. On social media, it seems there is some confusion as to what is going on with MonaCoin right now. Oliver 90210 seems to indicate this pump is primarily the result of major purchases in MONA/JPY taking place throughout the day. Assuming Japan will kick off the next major bull run, this may be a sign of what is yet to come for other markets as well. Remember that Japan has a very positive legal environment for #crypto and that #Monacoin trades vs fiat there, which is uncommon. Definitely a coin to hold in portfolio ahead of a crypto rally in Japan. When signal groups and Twitter accounts start to take notice of specific markets, it may be time to get out pretty quickly. Bobcat Crypto has “detected” a potential medium strength buy signal for MONA, which seems to confirm this uptrend could be coming to an abrupt halt in the very near future. For those who actually look at the MonaCoin chart, it quickly becomes apparent this momentum makes little to no sense. While it is intriguing to see an alternative market move up in quick succession, it seems someone tried to pump the price a lot higher in the past few hours and failed miserably at sustaining it. All things considered, the uptrend affecting MONA makes people good money, but its actual momentum seems to lack real conviction. As most of the trading volume comes from Bitbank’s JPY pair, it is also evident the rest of the world shows no real interest in this currency right now. Its value on Livecoin, for example, is still $0.18, which creates a rather big gap. The post MonaCoin Price Pump Yields a 40% Gain appeared first on NullTX. 2018 turned out to be a terrible year for the cryptocurrency markets, with Bitcoin plummeting from its late-2017 highs of nearly $20,000 to lows of just above $3,000, and many other cryptocurrencies posting losses of 90% or more from their early-2018 highs. 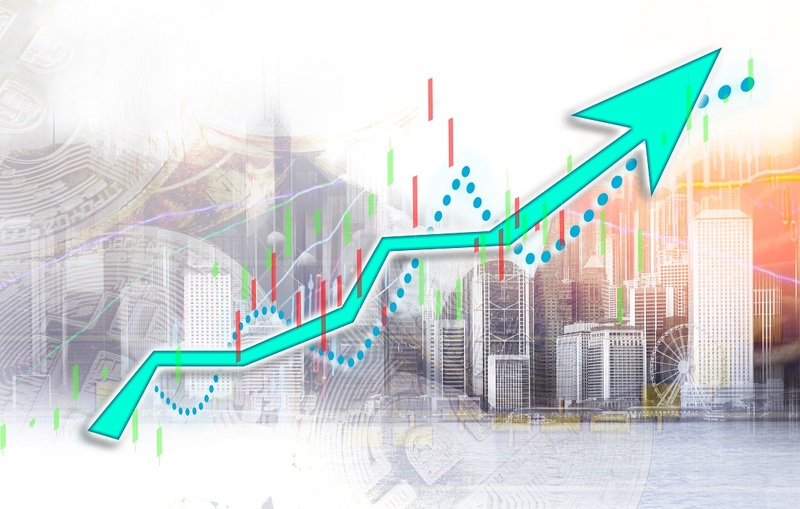 Despite this, 2019 is shaping up to be a great year for the crypto markets, and if they are able to maintain their upwards momentum, they may be able to continue surging back towards their previously established all-time-highs as the year continues on. 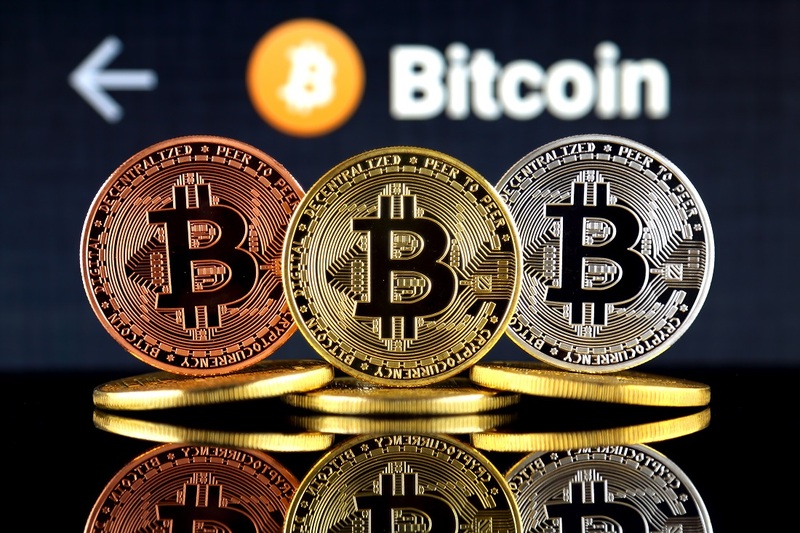 At the time of writing, Bitcoin is trading up over 1% at its current price of $5,350 and is up from its weekly lows of approximately $5,000 which were set last week after Bitcoin failed to break above $5,400 and spiraled downwards. Bitcoin started the year at approximately $3,746 and has since surged nearly 43% to its current price levels, making it the best performing investment asset so far in 2019. 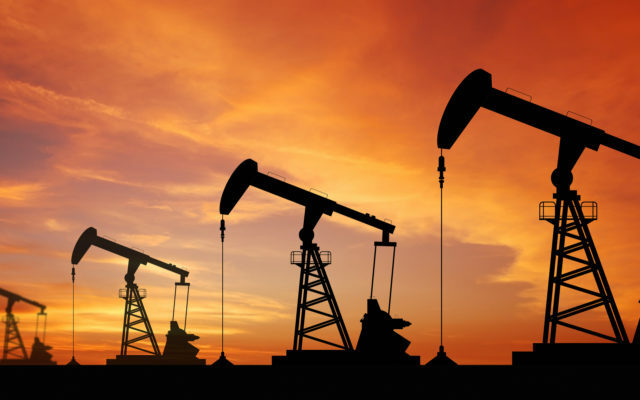 Last week, Charlie Bilello posted a comparison on Twitter, noting that Bitcoin was the second-best performing asset so far in 2019 behind oil. In the seven days since this comparison was posted, however, BTC has continued climbing and is now the best performing major investment this year. At the time of writing, WTI Crude Oil is trading up 37% year-to-date (YTD), while BTC is up 43%, as discussed previously. While looking towards the traditional equities markets, which ended 2018 on a low note but have since surged, Bitcoin has significantly outperformed them, with the S&P 500 currently trading up just under 17% YTD, and the Dow Jones Industrial Average up less than 15% YTD. Although Bitcoin is currently the best performing major asset in 2019, other smaller cryptocurrencies have significantly outperformed BTC this year. Binance Coin (BNB) is one example of a smaller cryptocurrency that has significantly outperformed BTC, as the cryptocurrency just recently surpassed its previously established all-time-highs and is showing few signs of slowing down. At the time of writing, BNB is trading up 2.2% at its current price of $24.58. BNB started the year trading at roughly $6.19 and has since skyrocketed nearly 300%. 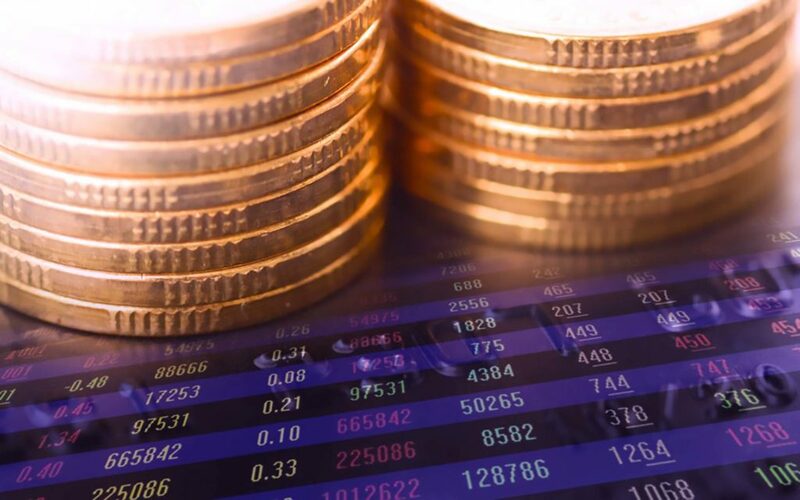 The crypto market’s overwhelmingly positive performance over the past several months has significantly improved the sentiment of embattled investors who had previously been burned by the 2018 bear market, and growing fundamental strength may allow for further price gains as 2019 continues on. The post Bitcoin (BTC) Best Performing Major Asset in 2019, Surges 43% Year-to-Date appeared first on NewsBTC. The post VeChain Price Risks Dropping Below $0.007 as Bears Won’t Relent appeared first on NullTX. As this Saturday trucks along rather nicely it would appear the overall cryptocurrency trend remains rather positive. As long as the Bitcoin price is in the green – like it is today – there is a good chance the uptrend will remain in place. Ever since BTC surpassed $5,300, things have continued to look up despite most traders’ expectations. Most cryptocurrency traders and speculators are pretty happy to see the Bitcoin value move up despite the world’s leading cryptocurrency surpassing the $5,300 mark. Previous attempts at hitting this value and turning it into new stable support have been rather unsuccessful, yet it would appear this time around is a bit different. More specifically, it would seem the Bitcoin price has successfully increased by 0.5% in the past few hours. This allowed the value to hit $5,300, which is a very interesting price level for many different reasons. Bitcoin is hardly ever bullish over the weekend and often notes a small loss. This ongoing slow and steady uptrend offers a lot of hope for the future. On social media, there are a fair few interesting opinions on what Bitcoin is bringing to the table at this current price level. Keyvan Davani isn’t necessarily concerned about the actual price, yet he does hope for accelerated adoption of Bitcoin. While it seems unlikely 3 billion people own part of a Bitcoin in the next five years, one never knows what the future will bring. HugeStackman has very high expectations for Bitcoin. This is primarily because all of his “colleagues” seem to feel pretty bullish regarding the long term as well. When a lot of people think along the same lines, there is a real chance the market will effectively head in that particular direction. However, Bitcoin is a very unpredictable market first and foremost. How my 2017 crypto adopting colleagues feel about #Crypto in 2019! As is usually the case, some people remain unconvinced Bitcoin will succeed in any size, shape, or form. OldPa sees no real chance of success for Bitcoin as long as it keeps getting forked. This also indicates he is convinced Bitcoin forks will never be “strong money”. It is certainly true none of the major Bitcoin forks has proven to be too successful. #Bitcoin can never become strong money as long as it keeps getting forked. Corollary: Bitcoin forks can never become strong money. For the time being, there is no reason to be remotely concerned about Bitcoin. It is a liberating, albeit very alien feeling when it comes to the world’s leading cryptocurrency. How all of the other markets will evolve in the coming hours and days, is very difficult to predict. Anything is possible. The post Bitcoin Price Confirms Ongoing Uptrend Following Small Gains appeared first on NullTX. 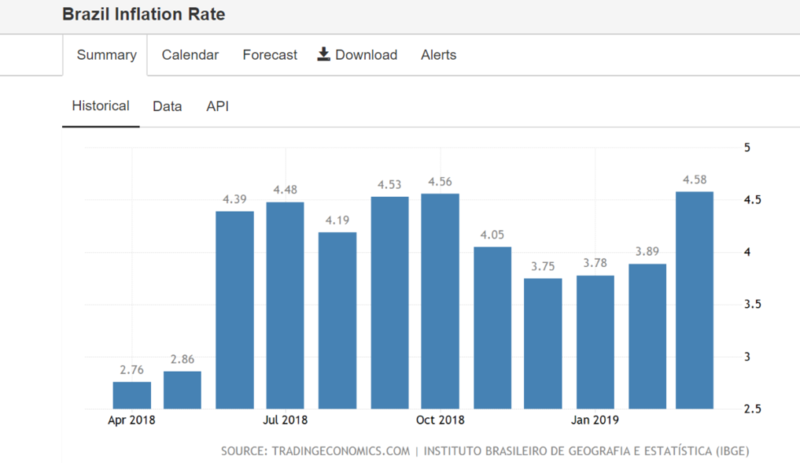 As a result, the Brazilian Statistics and Geography Institute (IBGE) reports that the cumulated inflation rate for the last 12 months reached 4.58 percent. A few days before the announcement of the inflation upsurge, coincidentally, Cointrader Monitor, a monitoring tool that analyzes Bitcoin price movements in the country, tweeted that Brazilian cryptocurrency exchanges traded more than 100,000 BTC on April 10, 2019. 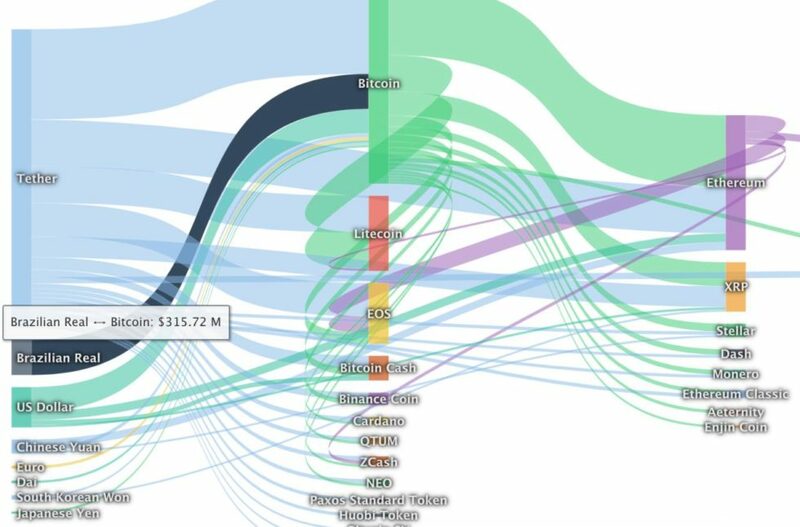 Meanwhile, the Real has seen some of the biggest fiat inflows into bitcoin comprising $315 million over the past 24 hours, according to data from Coinlib. The sustained rise in the general price level of goods and services, combined with other economic woes, is not only afflicting Brazil but also Argentina. Argentina is the second largest economy in Latin America, behind its neighbor Brazil. For the last several weeks, investors in Argentina have also been turning their focus to the cryptocurrency, as data released by LocalBitcoins shows. 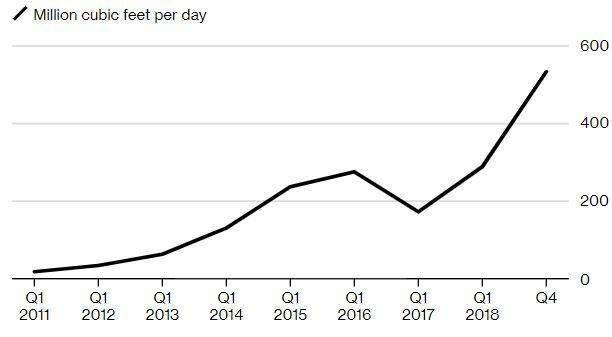 Similarly, trading volume on peer-to-peer exchange LocalBitcoins has also been surging across in Mexico, following US President Donald Trump’s threat of clamping down on remittances by illegal immigrants. In such economic situations, the cryptocurrency is becoming increasingly attractive mainly because Bitcoin, among other attributes, is inherently borderless and inflation-resistant — as only 21 million digital coins will ever be created, by the year 2140. 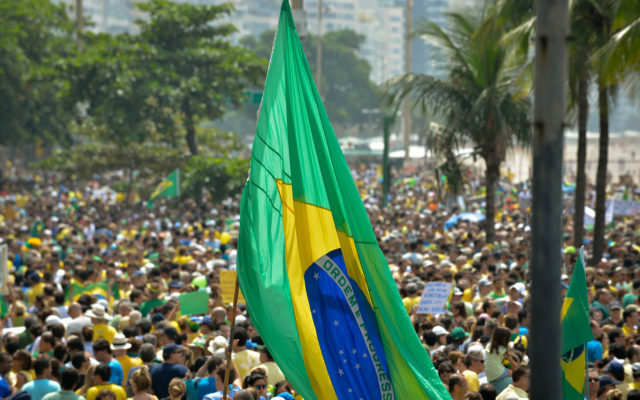 Do you think Brazil’s inflationary trend contributes to its recent upswing in Bitcoin trading activity? Let us know in the comments below! The post Brazil: Highest Inflation in 4 Years Propels Bitcoin Volume to Record Highs appeared first on Bitcoinist.com. 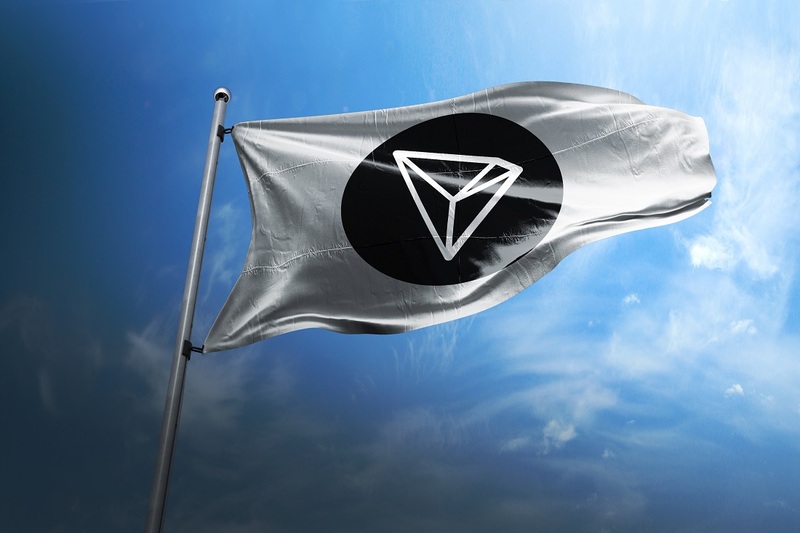 The post Tron Price Resumes Bearish Trend as TRX/BTC Drops Below 500 Satoshi appeared first on NullTX. The post Basic Attention Token Price Notes Monster Gains in new Bull run appeared first on NullTX.